Because our Festival is held annually on Mother’s Day weekend, many ticket holders who are traveling from outside the area like to make a weekend of it and stay locally. That’s especially true for folks who attend the fundraiser gala on the Friday before the Festival. There are so many things to see and do in the Verde Valley, it’s easy to extend your visit and check out some of the other many attractions here, such as the Verde Valley Wine Trail, or the Verde Canyon Railroad. Each year, the Verde Valley Wine Festival has grown exponentially. For example, last year we sold out of tickets on the day of the Main Event. The more visitors we have coming into the area for the Festival, the greater the need for lodging options. This year, the Verde Valley Wine Festival decided to try something new. We’ve partnered with Phoenix-based Stout Tent company to offer festival-goers a two-day, high-end “Glamping” experience along the Verde River, just minutes from the Clarkdale Town Park. Ticket holders who book one of these tents for Friday, May 10 and Saturday, May 11 will experience all the wonders of the Verde River, without the hassle and stress of setting up your own tent, dragging heavy equipment out into the wilderness, or the unpleasantries of answering “nature’s call” in the woods. Guests will roll up to the Tapco River access point just outside of Sycamore Canyon, to find beautifully-appointed tents ready and waiting for them. That includes hot and cold running water, a full-sized shower and flushing toilets. Find out all the details about this exciting new experience and make reservations while they last right here on our website: https://verdevalleywinefestival.com/glamping. 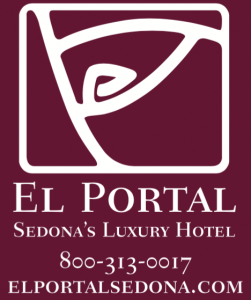 Wherever you decide to stay, we can’t wait to show you the best the Verde Valley has to offer. See you Mother’s Day weekend!